I’m no RMI expert, but of the things I’ve heard, there’s some nifty Tangerine Dream style electronic music, some tripped-out space rock, and some atmospheric improvisation. Those same elements fit into the mix on this double-CD release, with the balance between them depending on the track. And the musicians are so atuned to each other that the line between improvisation and composition is blurred beyond recognition. This time out, the band’s core trio is augmented by Martin Archer (who was also on their previous Cuneiform release) on saxes and other woodwinds, adding a marvellous organic touch to all the synthesizers, electronic devices, and electric guitars. While electronic sounds dominate, including some long beat-free stretches of minimal volume (read: ambient), there are several excellent sequencer orgies, as well as one lengthy section devoted to pretty straight bass/drums/guitar jamming. Listening to the whole thing through is quite a commitment, but almost all the tracks work on their own if you’ve got ten or twenty minutes. This is not music for people in a hurry (the phrases “paint dry” and “grass grow” come to mind); even the pieces which exhibit a beat take a leisurely pace to go anywhere, perhaps more like real space travel than the twitchy video-game version of space travel you find in movies. We’re gliding through the vast expanses of interstellar space, not dodging asteroids in-system. It’s not as exiting, perhaps, but you have time to enjoy the view out the viewport — your ship does have viewports, right? Because if it doesn’t, I’m not going for a ride in it. This trio of Brits has been performing their epic electronic improvisations since the mid 90s. They have performed at numerous electronic music festivals across Europe and the US. In 2004 they collaborated with Damo Suzuki (Can) for a concert in Manchester. They are no strangers to Cuneiform; this is their third release on the label. What we have is 2½ hours of superb electronic, space, and cosmic music spanning two discs. RMI consciously created Time & Motion to encourage selective listening. The tracks break down into the two basic themes of the title: Time (“Kairos,” “The Clockwork Time Dragon,” “Aeon,” “Chronos,” and “30 Years”) and Motion (“Equatorial Pitch,” “Fission Ships Parts 1 and 2,” “Maybe a Last Look at Joe’s House,” and “Nine:Four:One”). 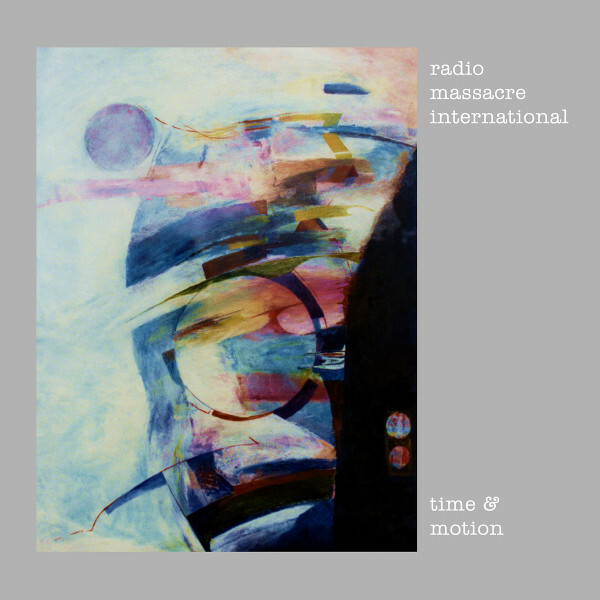 The Time tracks are propelled by pulsating Tangerine Dream-like pentatonic sequences, occasional doses of Ummagumma, and Manuel Göttsching style riffing. While the Motion tracks are more abstract, ethereal, and analog with Saucerful references and the occasional sequence and scorching guitar solo thrown in for good measure. Some of the tracks take inspiration from cosmology, plasma, and nuclear physics hence the titles “Equatorial Pitch” and “Fission Ships.” I definitely get the impression of charged particles spiraling along magnetic field lines as they race through the vacuum of space sporadically annihilating each other. Even though RMI are known for their improvisations, these tracks are not random noodlings, folks. Each is well orchestrated and truly a mind-expanding listening experience! Highly recommended!